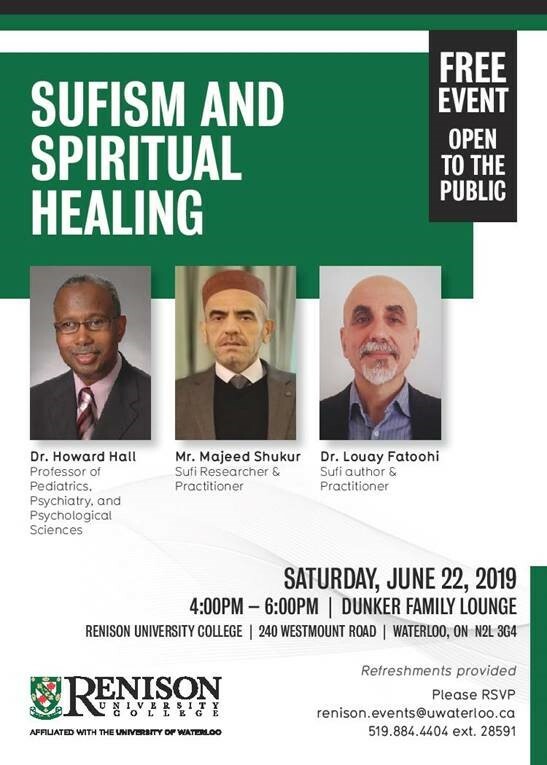 Sufism and Spiritual Healing - Free Event! You're invited to a Book Launch! Dr. Seung Hyok Lee will be delivering a lecture, titled "Japan as a "Normal Country"? Japan's Relations with its Neighbours." Dr. Lee is a Lecturer in the department of Political Science at the University of Toronto. Professor David Welch from the University of Waterloo, Basillie School of International Affairs is the lecture's commentator. 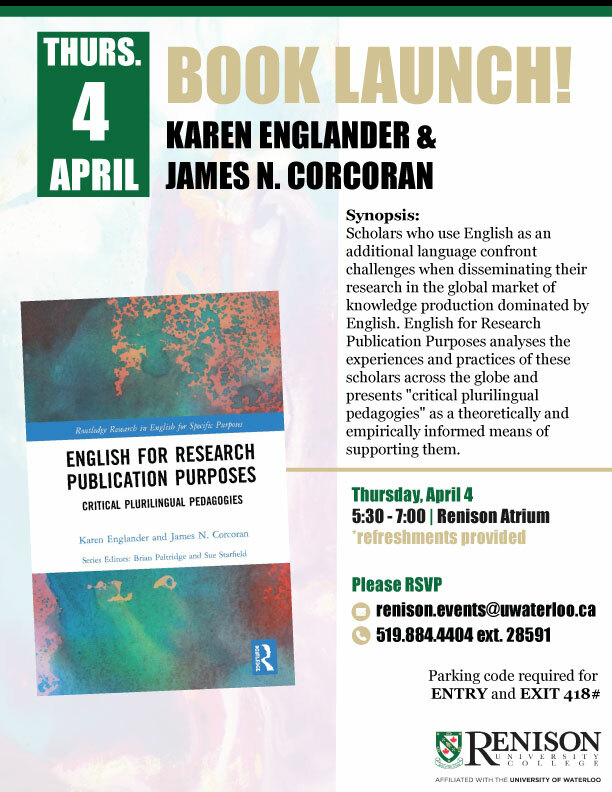 The School of Social Work at Renison University College invites you to celebrate with us! 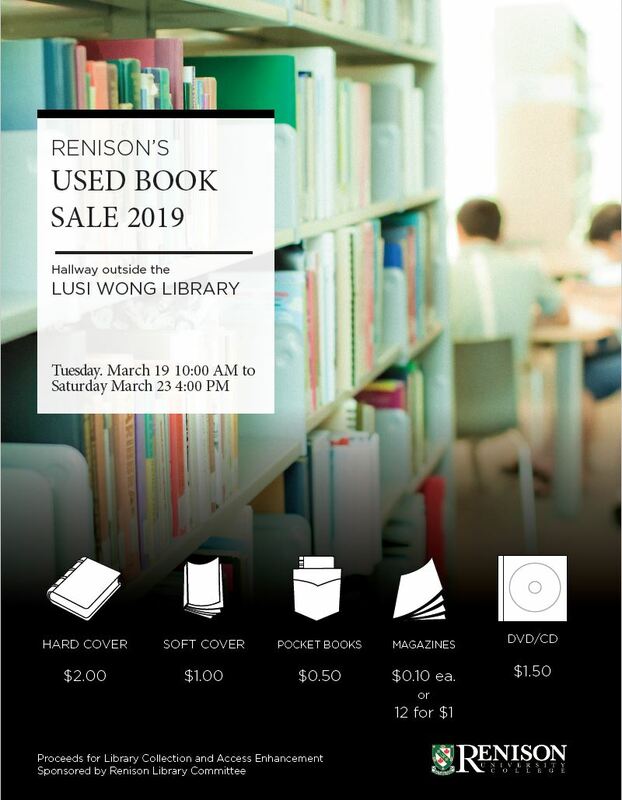 The Lusi Wong Library is holding its annual used book sale from March 18 to March 22! Coming to March Break Open House? Don't forget to check out the small close-knit community that Renison has to offer Waterloo students. While you are ironing out your program details, make sure you take a residence tour and test drive where you want to live next year too!